As I mentioned on Instagram, I was going to a wedding this weekend. It was absolutely adorable and I’m so happy to have been there with my boyfriend and his family to celebrate his cousin and new wife’s big day together. Weddings for the guests-besides the celebration with the couple- are a fun time to get fancy and dress their best. I was going to talk about my dress and shoes but I unfortunately left the dress at my boyfriend’s place so that post will have to wait for another time! Fortunately though, I went to Sephora a second time in less than 24 hours because I saw a summer essentials kit that I absolutely needed. “Sephora’s favourites” are limited edition packs of essentials Sephora puts together of top selling products or their favourite products with mini and some select few full sized products. 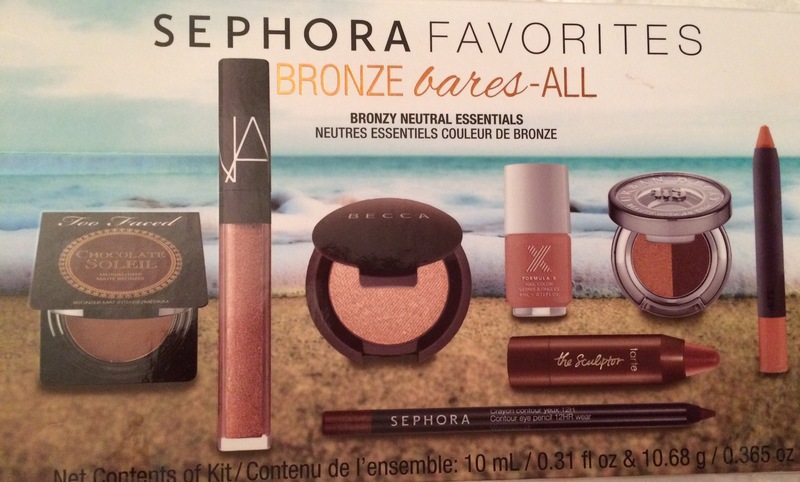 The one I had to get my hands on this time was “Bronze Bares All“. 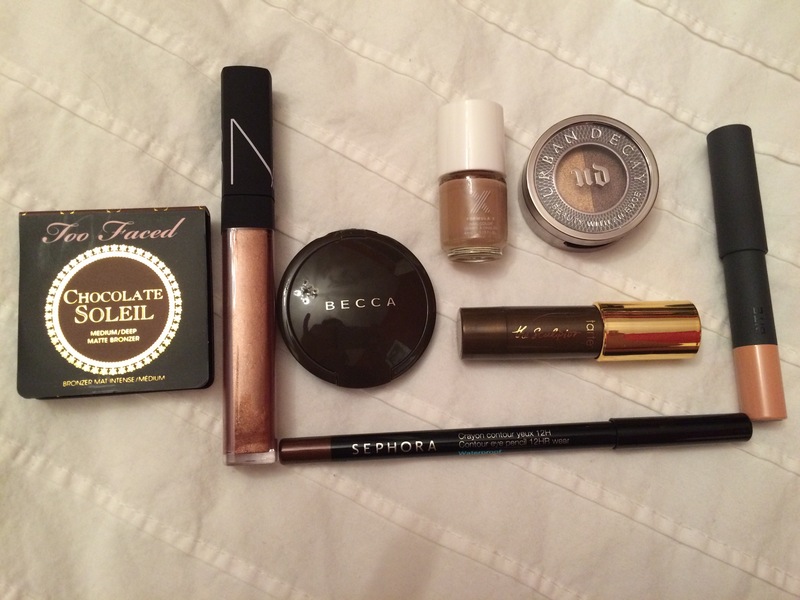 This kit comes with 8 different products with the NARS lip gloss being the full sized product. To be completely honest, I really only bought this kit for one specific product. 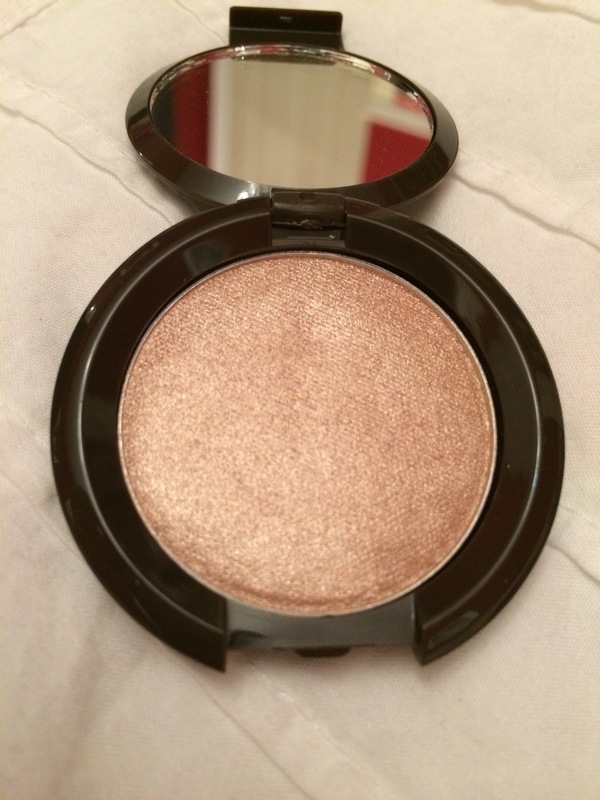 I love them all but I’m splitting this with my sister – I’m a very pale girl so I try not to use many bronzing type products. 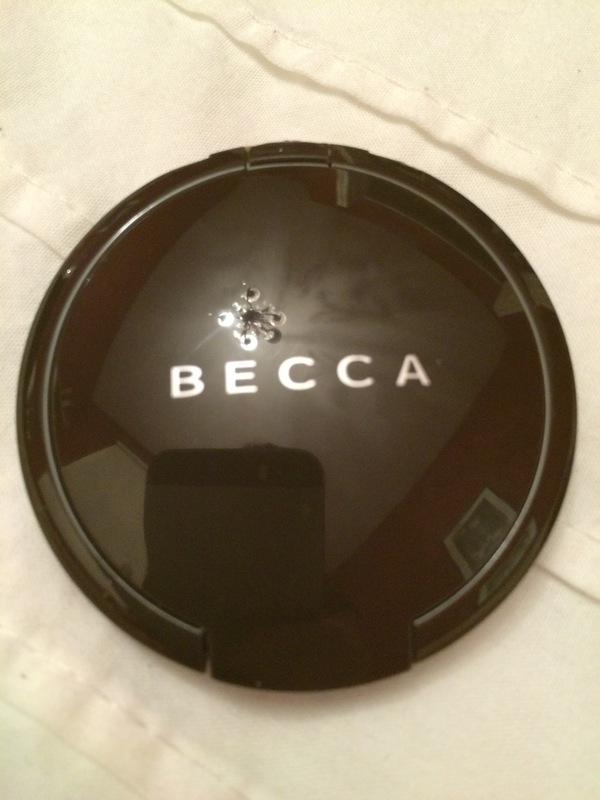 I just had to get my hands on the Becca Shimmering Skin Perfector Pressed in the shade Opal. This is probably one of the most beautiful illumisers I’ve ever seen. I asked one of the girls if they sold it in the store but it is only available online right now. Excuse the awkward arm but I needed a close up photo of what this illuminising perfection looks like and the lighting where I am writing just wasn’t taking to my face properly. Honestly – I’m in love with how it looks. I’m not even circling it because it’s just so beautiful it doesn’t even need a direction. 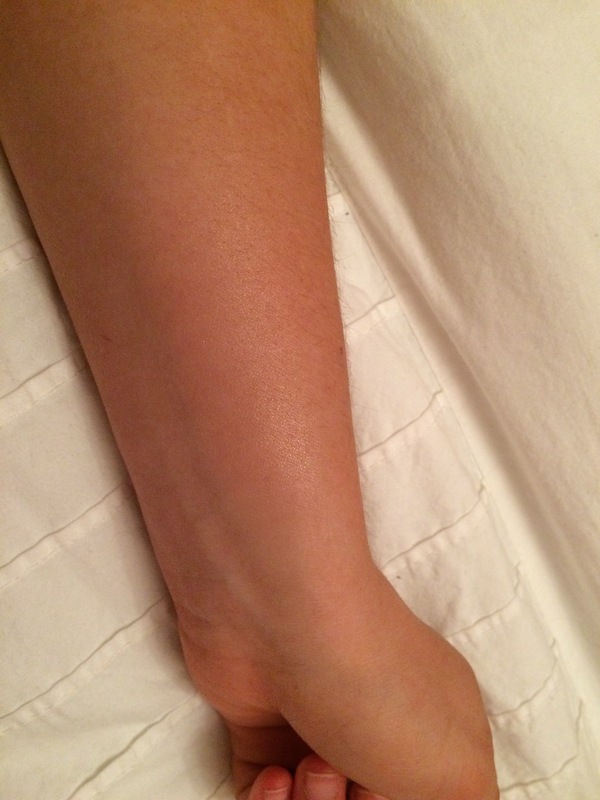 This is something that would look good on every skin tone and gives a different effect to each one. It’s completely versatile.